Soon after humans could stand upright, they started adorning themselves with jewelry. Even Neolithic people wore bracelets and necklaces, believing that their amulets possessed magical powers that could protect them and increase their personal power. In fact, if you think we’ve evolved as a species in huge leaps since ancient times, take a good look at early Greek and Roman jewelry. You’ll be amazed to see designs and craftsmanship chillingly similar to the designs featured in your favorite boutique downtown today, 2500 years later. You also might note that the idea of magical jewelry certainly hasn’t died with the millennia. Just look up healing jewelry on the internet and you’ll get 19 million results for decorative rings and necklaces and so forth that protect you from various bad energies while enhancing your good juju, to say nothing about making you look smashing. Unfortunately, though, not all jewelry heals, protects, or enhances. It turns out that some jewelry—and particularly the cheap costume stuff—might actually be undermining your health. What? Being vigilant about your food, drink, exercise, environment, and attitude isn’t enough? You also need to watch what you wear to complete your health program? Sadly, yes. Back in 2012, a consumer group in Michigan called The Ecology Center decided to test a wide variety of accessories to make sure that whatever federal regulations were imposed on jewelry were keeping things safe.1 Lo and behold! After testing 99 rings, bracelets, earrings and necklaces from popular cheap retailers like Claire’s, Forever 21, Walmart, Burlington Coat Factory, and so on, the researchers discovered unsafe levels of lead, cadmium, nickel, chromium, and toxic chemicals in an overwhelming percentage of the products. More than a third exceeded federal safe levels of lead. 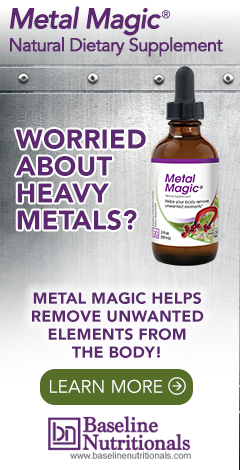 More than 90 percent were high in chromium and nickel. Ten percent contained cadmium. To make things worse, more than half of the jewelry contained toxic chemicals like flame retardants, arsenic, and chlorine. According to Dr. Kenneth R. Spaeth, and occupational and environmental medicine specialist at North Shore University Hospital in Manhasset, N.Y., "All of these [substances] are harmful. Some of them are known to be carcinogens. Many of these are known to be neurotoxic, meaning they can affect brain development." While the US does impose strict regulations on lead, at least in children’s jewelry, other toxic metals like cadmium go unrestricted. In fact, after lead restrictions were tightened in 2009, some manufacturers just started using cadmium instead. And that’s a problem because cadmium is a known carcinogen, and according to Health Canada, it causes, "renal, hepatic, cardiovascular, hematological, neurological, reproductive / developmental and immunological effects." It also can cause damage to lungs, kidney and bones. There was a push to set cadmium caps after a 2010 study that turned up high levels in children’s jewelry coming from China, but industry pressured the EPA to leave things alone and no restrictions were set, although manufacturers were advised to voluntarily refrain from using the heavy metal.2 Meanwhile, tests in 2016 on children’s jewelry in Canada found cadmium levels exceeding safe levels by 1000 times in a significant percentage of items tested, and in some cases, by as much as 15,000 to 17,000 times acceptable levels for children.3 The good news is that six states in the US—including California, Connecticut, Illinois, Maryland, Minnesota and Washington—have set cadmium caps. The bad news is that the other 43 states have not. Yes, but you’re not eating the jewelry, so what does it matter? It’s not like toxic food or water, right? Well, if you think that no harm can come from simply wearing a cheap bracelet, think again. While the heavy metal might not be kryptonite on contact, cheap jewelry tends to break down, chip, and peel.4 This disintegration can release toxic chemicals. Plus, if your bracelet has been sprayed with flame retardant, as so many cheap jewelry items have been, you can, in fact, absorb the chemicals through your skin or inhale them. The problems compound if you have kids around. If children get hold of your adornments, chances are good the item will find its way to the young mouth where it can do plenty of harm. There’s also the problem of contact dermatitis, which actually can arise simply from donning cheap jewelry. Nickel, in particular, is a common cause of skin allergy. Chromium also can be a culprit.5 In fact, about one out of every five people develops an allergy to nickel, and such allergies can develop at any time, even after years of non-troublesome exposure. The creepy thing about a contact dermatitis triggered by metals is that it won’t necessarily clear up in a few days; it can linger for months. Plus, it can spread, making your skin scaly and blistered beyond the contact site. The upshot here is that cheap jewelry isn’t worth the bargain price. Instead of opting for that $10 adornment at Walmart, you’re far better off saving until you can afford something sterling silver or 14-carat gold. Last time I looked, chromium and nickel are components of stainless steel. What's wrong with that in jewelry if it's ok to have stainless steel cooking pots?